Below is an article by A. B. Damania who talks about his uncle Dorabji Damania. 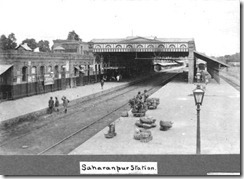 Parsis were once a very large presence in the Indian Railway system, both pre and post Independence. 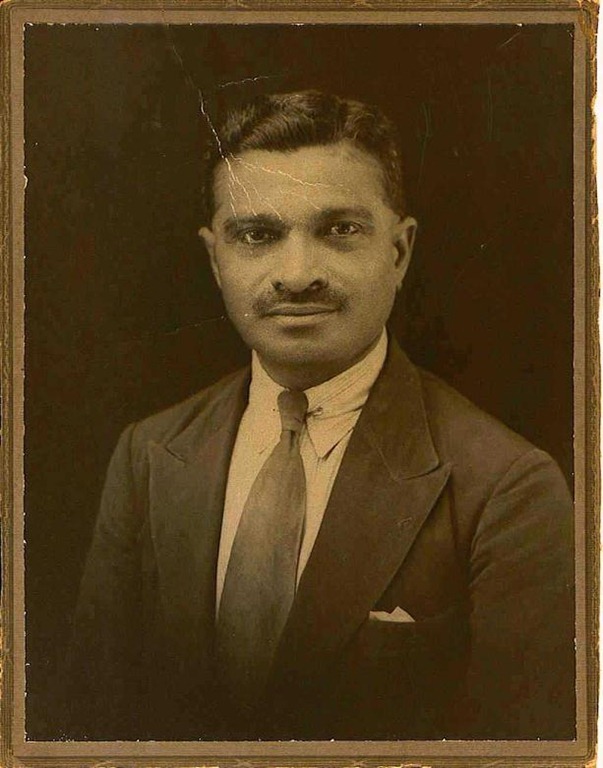 MY FATHER’S OLDER BROTHER, Dorabji M. Damania, after having passed his SSC from the Parsi Orphanage at Lalbaug, Mumbai, found work as a clerk for a Parsi businessman who had a general store (hardware & provisions) in Lahore (now in Pakistan) around 1910s. He must be in his mid-20s. He was not happy with his salary and the treatment from the store-owner with whom he had many quarrels. One day a British gentleman walked in to the store to buy something and Dorabji made friends with him. During conversation the British man let out that he was actually a superintendent in the Northern Railway based at Delhi and gave Dorabji his official calling card. He was so impressed with Dorabji that he said that "If ever you are in need of help contact me." A few months later Dorabji had another quarrel with his boss the store-owner and left the job in a huff carrying only a single small suitcase in his hand and a few rupees in this pocket. He arrived at Delhi and sought out the British gentleman, presented himself at his office and said "Sir, you told me that if ever I needed help I should contact you. Here I am." The British gentleman, whose name I do not recollect, said "Very well, Dorabji. Report tomorrow to the station-master at the Delhi railway station with this note I am giving you". Dorabji was employed in the railways the very next day as "Ticket Collector" even before a railway uniform could be stitched for him. After a few years as ticket collector at Delhi he took some training and was promoted to a Guard on the goods trains of the Northern Railways (steam traction at that time).. He used to speak to me of the very many lonely hours he would have to spend as a guard of a goods train at all hours of the day and night. Sometimes the goods train would lie in the siding of some obscure station for many hours. Being the last bogey at the end of 50-60 goods wagons inside the guard’s wagon was a rough ride with lots of shaking, swaying, rattling, and noise (only those who have ridden inside the last bogey of a goods train can appreciate the hardship). There was no electricity in the guard’s wagon only a kerosene hurricane lamp, a writing desk, red/green flags and the wheel with a mechanical emergency brake. 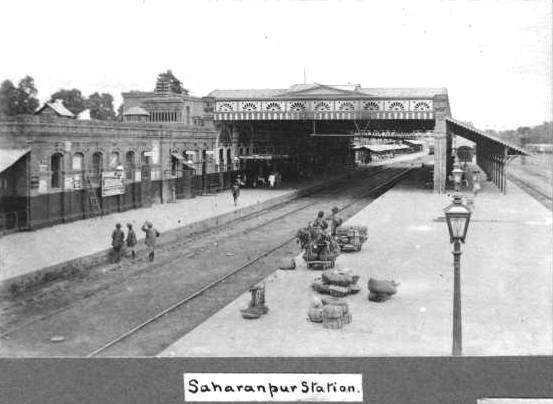 After a few years, he was promoted to Guard of passengers trains and was posted to Saharanpur, Uttar Pradesh (see 1907 photo of Saharanpur Railway Station), then on the North Western Railway (NWR). He was also provided with accommodation at the railway quarters. With a raise in salary and his own accommodation he thought it was time to find a life partner. He, therefore, took leave and came to Bombay in 1920 (see photo above). He soon married a very beautiful Parsi lady (Miss Dhun Fitter) and took her to Saharanpur with him. She was soon with child and Dorabji was extremely excited about becoming a father. Unfortunately, his wife died of postpartum sepsis only days after giving birth, leaving him with a female child whom he named Freny. Dorabji was grief stricken. 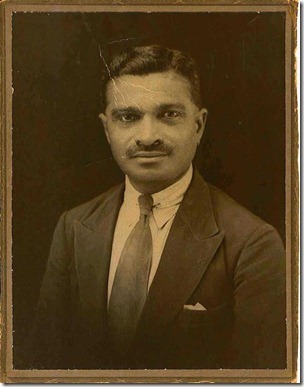 Alone and far from relatives, and unable to care for a small baby all by himself and distraught at having lost his wife so soon after marriage, he took early retirement from the railways and returned to Bombay around 1935. He found a job with Tata Chemicals as a clerk till his retirement in the mid 1950s. I still have his Guard’s Whistle (Made in England) at the end of a silver chain with a pocket clasp at the other end. Even today, after almost 100 years, when I blow it with full breath in my lungs, it is loud enough to be heard for at least half a km. It was supposed to be audible from the Guard’s compartment at the end of the train right up to the engine driver who was 12-13 compartments in the front. The whistle was also for the passengers who had not boarded the train as well as for those who had come to bid farewell to their kith and kin. The whistle would be heard throughout the length of the platform from one end to the other. Dorabji would then wave the green flag or if it was night the green kerosene lamp. And the train would slowly start to move. He would only take his seat after his own guard’s compartment at the back of the train had passed the outer signal cabin and the train picked up speed. He died in 1963.